Henrico County’s neighborhoods, shopping and attractions make it a great place to live and work. In addition to top schools and an affordable cost of living, it also offers a diverse culture and an emerging restaurant scene. For your dining pleasure, we unveil four Henrico County spots where culture and cuisine collide — much to the delight of restaurant-goers. Chef Peter Chang's popularity reached new heights in early 2010 after food critics Todd Kliman (Oxford American) and Calvin Trillin (The New Yorker) both wrote glowing reviews of his fiery, unique dishes. His career has included stints as the chef for the Chinese Embassy in Washington, D.C., and restaurants in Georgia, Tennessee and Virginia. He’s known for his sudden moves from city to city, leaving followers of his work scrambling to keep up. In spring 2012, the elusive Chef Chang opened a new location within a small shopping mall in Henrico County. His restaurant promptly made Bon Appétit’s “50 Best New Restaurants” list. And it seems Henrico loves Chang, too. If you plan to visit, arrive early, as there is often a wait for lunch and dinner. The menu always includes several unique items, so you’re sure to find something new and different. Bon Appétit suggests the bamboo fish, the mapo tofu and the Shan City chicken. Local critics agree. 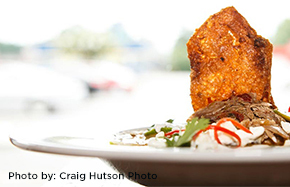 When Lehja first opened, it was named to Richmond Magazine’s 2011 “Best New Restaurants” list. 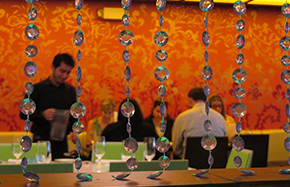 Today the reviews are still strong — Open Table reviewers put the spot on the site’s 2014 “Best Overall Restaurants in Richmond” list, and Richmond Magazine readers named it Best Indian Restaurant. The acclaim doesn’t stop at cuisine, however. Lehja consistently makes Wine Spectator’s Award of Excellence list. Estilo’s cuisine is influenced by Central and South America with an emphasis on the flavors of Peru, Brazil, Argentina, Costa Rica, the Caribbean and Mexico. And, it’s 100 percent gluten-free. We highly recommend the chifrijo, sopes, mofongo and pozole. Nestled in a discreet space in the Village Shopping Center, Estilo has a warm, contemporary dining space as well as a pleasant outdoor patio. Proprietors Josh and Jessica Bufford also own Toast, located in the same shopping center. When you visit, introduce yourself to Phil, who’ll most likely be behind the bar experimenting with cocktails and introducing different piscos and mezcals. "This place is amazing! I've enjoyed a lot of other Latin restaurants in Richmond, but this little gem exceeded all of my expectations. The food took me back to the years when I lived in Miami and good Latin food was always around the corner." —Yelp Reviewer Mike M. (Wilmington, NC). "Oh, I love this place … I'm gluten-free, and for a whole restaurant to be gluten-free is awesome. For a restaurant to be GF and have the high caliber of food that Estilo does is a rarity.” —Yelp Reviewer Heather L. (Richmond, VA). If you love meat, you’re going to enjoy the food here. But don’t expect large portions: Balkan cuisine is about enjoying a variety of unique spices and flavors through smaller quantities. Balkan’s food is closely related to Turkish, Greek, Italian and other Mediterranean cuisines. However, you’ll also find influences from Central Europe. Typical ingredients include tomatoes, potatoes, garlic, cucumbers, spinach, fresh beans, ajvar (roasted red pepper and eggplant spread) and cream cheese called kajmak. When you go, be sure to order the Lepinja bread! What’s your favorite worldly or unique place to eat in Henrico? Let us know on Facebook! [Ed.] Thanks to Sanjay Hinduja for his restaurant recommendations and insider information. Named by Style Weekly as the “Man Most Likely to be Dining Out” in 2011, today he tallies visits to over 625 Richmond restaurants and nearly 1,500 international dining destinations.